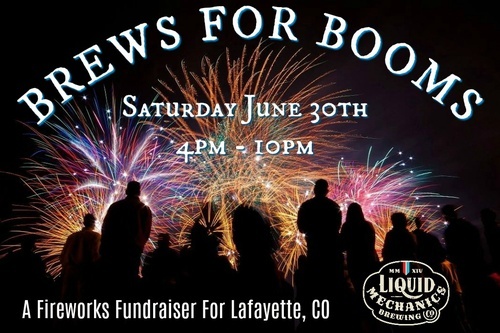 Did you know the Lafayette, CO fireworks show is funded 100% by donations? We love our town and the feeling of community and camaraderie that comes with watching those fireworks over Waneka Lake. So we're gonna raise some money. On Saturday June 29th we are closing off a portion of our parking lot for outdoor bands, food trucks, and beer drinking. How can you help you ask? We are donating 10% of our beer sales for the day.